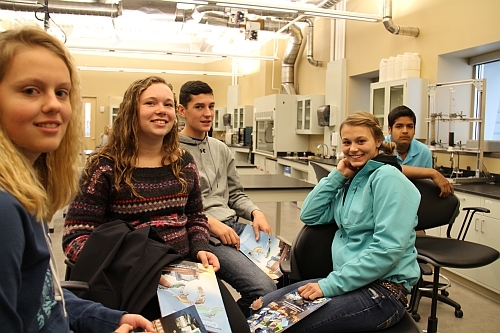 High school students from the five western UP counties will spend today at Michigan Tech’s Great Lakes Research Center, learning about the Great Lakes, water research and careers they might consider in science, technology, engineering and math (STEM). 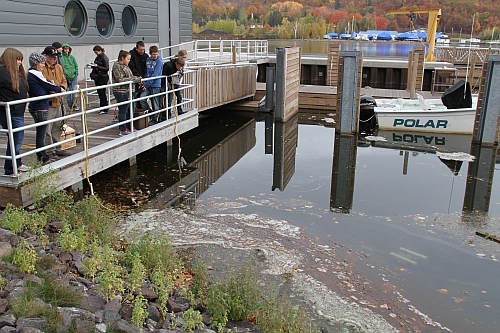 The Water Festival is sponsored by the Western UP Center for Science, Mathematics and Environmental Education, based at Michigan Tech. 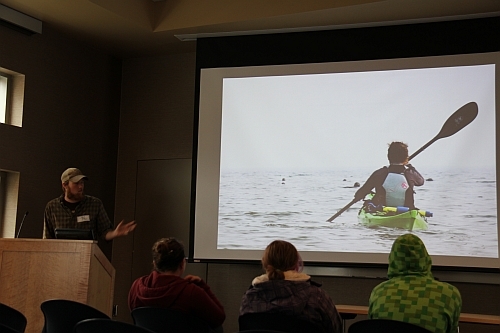 Presentations start at 8:45 a.m., in the GLRC and continue until 2:50 p.m.
More than a dozen scientists, students and representatives of groups involved in Great Lakes conservation will make presentations to the high schoolers. They include professor Marty Auer (CEE); Associate Professor Nancy Auer (BioSci); Assistant Professor Nina Mahmoudian (ME-EM); Operations Manager Robert Handler (SFI); director of operations Mike Abbott (GLRC); Adam Johnson, assistant director of corporate partnerships; Andrea Bal, Engineers Without Borders; Chad Norman, environmental science educator; Anika Kuczynski and Jen Fuller, environmental engineering graduate students; Karena Schmidt, laboratory supervisor (SFRES); SOAR Dollar Bay High School Enterprise students; Lake Superior kayakers Matt and Hannah Abbotts; and Nathan Miller and Pat Toczydlowski, Keweenaw Land Trust. 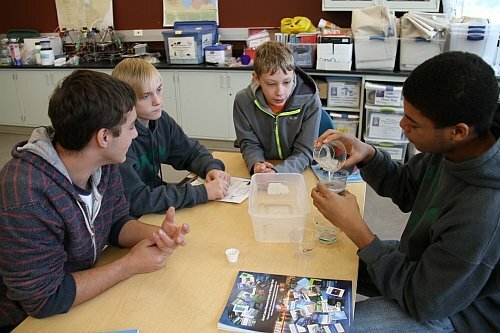 The goals of the Water Festival are to motivate high school students to study STEM fields in college, to introduce them to a variety of STEM and Great Lakes-related careers, to encourage Great Lakes stewardshp and to showcase Michigan Tech’s new Great Lakes Research Center. 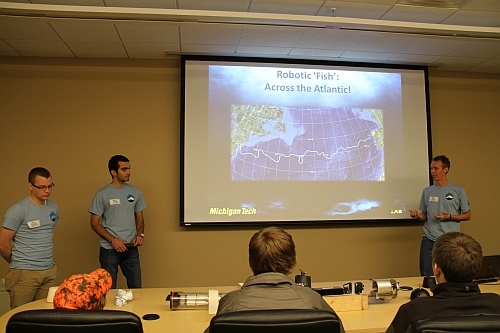 GUPPIE & ROUGHIE: Autonomous Underwater Swimmers: Meet our favorite two new members of Michigan Tech’s Nonlinear and Autonomous Systems Laboratory ‐ GUPPIE (a Glider for Underwater Problem‐solving and Promotion of Interest in Engineering) and ROUGHIE (a Research‐Oriented Underwater Glider for Hands‐on Investigative Engineering). 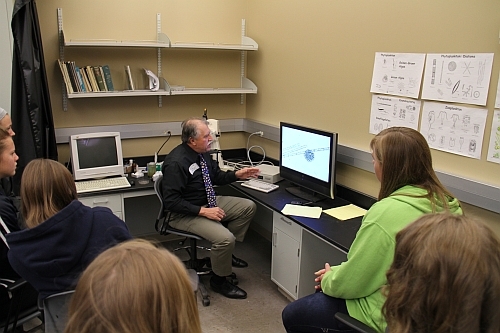 Students view live sturgeon and examine the sampling gear used in scientific research. 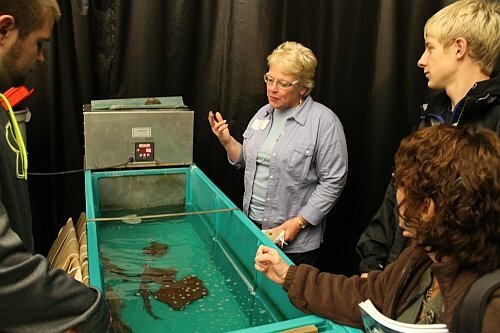 They learn about sturgeon ecology---food preferences, reproduction, life stages, and habitat requirements.